hi- I know a lot of runners are taking part in the big spring marathons- however is any one running the Southampton Marathon. Did anyone run it last year and can give recommendations. I’m going to target this run as a PB possibly with training plan set up. I did it this year and to be honest I did not fancy it. Two laps which where rather dull and boring imo, there was decent support on the route but it did not seem to have much of an atmosphere. I think there was only around 2000 people doing it but also had a half which started a bit later so there was always people about. I wouldn't call it flat either- going over the bridge for the second time at 23 odd miles was killer for me. On a positive note running literally through the football stadium was a nice touch I thought. I've run many 'town' marathons and to be fair it is better than most. Sure there are some dull bits but some stretches through town and park are reasonable enough. The course has a couple of inclines, including the Itchen bridge twice as bb69 says, although I understand the course is in reverse in 2018 so will be around 3 & 16 miles rather than 10 & 23. It is potentially a PB course: I ran my GFA there. The stadium bit was also pretty cool (you go in one end, along the side and out the other end). Organisation was pretty good and I liked the compact finish area (Guildhall is but a small stagger from the finish). The only word of caution, again as bb68 says is there is a 10k and half alongside. The 10k started 90 minutes after the marathon, so if you go through halfway in anything around 1h30-1h45 bracket you will come up against a wall of 10k walkers around miles 13-15. Anticipate some bobbing and weaving. You'll catch the slower halfM runners much further on when it's much more strung out. I liked the fact that it is the same day as London, so training plan was the same as those doing the big City one. That was preferable to Brighton (over priced & over rated) and Milton Keynes (inferior to Soton imho) which are on different weeks. Hi guys- thanks for comments really useful. I’m pretty sure I’m going to enter as I want a lower key spring marathon this yr. I’ve got a few friends from running club running London so we can do our LSR together which is useful. I’ve done Brighton/MK and Manchester so fancy a change. I’ve hopefully got a ultra in the summer followed by Chicago as my big city marathon in Autumn. My early training is going really well so feeling the buzz to enter. Have you guys any race plans? I am doing Southampton as my first ever marathon. My training has started this week. If I do under 4 1/2 hours I will be happy. Hi Dave- welcome to the marathon. What made you choose Southampton as your 1st marathon? Are you following a training plan? Southampton is very local to me, and as I did not get a place in London, I chose Southampton. Yes I have a training plan to follow... which should see me finish the marathon. I did Southampton, and while it may not make it on the top 10 marathons in the world it was ok and would recommend it. Good organisation and support and atmosphere, but its 2 laps, of which the second lap was congested with 10k and half marathon runners. Also quite a few inclines, so not a PB course due to congestion and hills. Sure you will enjoy though. Thanks FBT- feedback of last years race seems very positive. They have changed course a little bit I understand so obviously want to make sure they get it even better. Im upping the training and LSR going well. Just need to do more midweek at marathon pace. Like you say Stephen, medium long runs at MP or a faster few miles (LT run), makes a big difference. Have a look at a P&D schedule if you get chance - very good training. also forgot to say - a great non alco beer at the end of the race was nice as well. Nice one Dave sounds good. I love a non alcohol drink at end of race, had one in Berlin and it was perfect. I am following Asics training plan at moment. ASICS training plan...I just had a quick look...are you doing 4 runs a week? What weekly milage are you up to at the moment? I am doing the beginners marathon plan with Hanson's marathon method book that I bought..should be 24 miles for next week and 39 the week after on week 6... I must admit it's a slog on the treadmill.. I'd much rather run outside, but I will save that for when I really up my milage as at the moment I just want to get my legs used to running higher mileage. When I go to the higher milage I may well split my runs into two parts each day to fit in with going to work. Stephen - its the same beer at southampton as at Berlin!!! Berlin was a very good marathon in my top 2!! Dave- you are brave to do so much training on treadmill. I do 3 runs per week, at least 1 spinning class per week. I also do light weights session twice a week either before a spinning class or a run. Tomorrow I’m doing 4.5 steady straight into St Albans Park run then 3.5m run home steady. I’m working Sunday so have to adapt running around work schedule. My LSR has been 12.5m last Sunday. I’m concentrating on shorter good tempo runs at moment and will up LSR soon. FBT- that beer is really good, amazing recovery from it. I’m currently having a dry January and may continue it throughout training, if I have the will power. Berlin is currently my Fourth favourite marathon. Great for a weekend away and amazing flat course. 1) London- in 1990 I did my first marathon in London and it got me hooked on running. Done it 5 Times since and still get goosebumps. 2) New York- Amazing route/organisation only thing I don’t like is long wait at start. 3) Abingdon- Small marathon but did my PB here 3:32:33 so will always be special. Most low key marathon I’ve ever done- day before had a McDonald’s for lunch as my pre marathon meal! !, so relaxed on day and ran brilliantly. Stephen.. it sounds like you're done a lot of running in the past with a great time of 3 hrs 30... Well done... !! I think park runs are excellent..we get over 800 people who regularly do the Southampton park run..it gets a bit crowded at the start..and at the finish...btw I did a park run out in Tasmania just before Christmas, and the warning at the start was watch out for the snakes as they are active at the moment with the hot weather, luckily I didn't see any. You don't get that type of warning in Southampton!!!! I also do a leg day in the gym with deadlifts, abductor exercises, lots of stretching, soleus exercises, and a few planks thrown in...these exercises seem to keep the injuries at bay.. I only have Brighton and London in the diary again tis year. Would love to do New york or Boston but they are so expensive. Dave - 800 people doing park run ... thats crazy! Snakes would keep the numbers down! Hi. Just entered Southampton. Needed a focus for this year, and it's not that far from Bournemouth. I've put down 4:10 for my time, but that will probably require a fair wind on the day. Happy running. Welcome MrM2- do the right training and you will have a good chance of hitting your time. I presume you have done the Bournemouth marathon weekend, if so what was it like. FBT- I forgot about Brighton I did enjoy that one and crowd support was excellent. Amsterdam was a nightmare for me as I had shin splints and was in agony for 13 of the 26 miles. However loved the weekend away. New York is expensive but treat it as a holiday. Dave I’ve been running for a long time and my times are staying static now, I think this will be my last year at having a go at tyring to beat 3:30 time. I’m going to do 2 marathon races this year spring and autumn, then hopefully an ultra race at the end of June in between the marathon races if I stay fit. My 12 mile run with a park run in between on Saturday was brilliant training. Amsterdam sounded grim for you - i disliked the fact it was a boring drag along a canel for most of the race outside the city. Stadium start and finish was nice though. - Speaking of which i liked the run through St Marys stadium in southampton marathon -nice touch i thought. Hi all. Stephen, I ran Bournemouth last year, but normally like to go further afield for my marathons; in Oct.2016 I ran Dresden (two similar loops, but plenty of interest). Agree with FBT that Bournemouth is worth running, but it would only take a bit of bad weather and the experience could be miserable, with so many of the miles being along the beach/clifftop. Some years since I ran Amsterdam, but enjoyed all three occasions. Most city runs take you outside, like Venice and Prague, but I usually get some sight-seeing in before the event, and just enjoy the run for what it is. Probably leave out the sight-seeing in Southampton! Happy running everyone. I did the 10k at Bouremouth last year, a great flat course right by the sea, and the finishing funnel was the best finishing atmosphere I have ever seen for a race. It made you feel very special. I did Southampton half last year as it's pretty local to me. Going through the stadium is definitely one of the highlights of this race. It got a bit messy as I rejoined the 10k runners just before going over the Itchen Bridge (lots of overtaking). The leading 10k runner got sent the wrong way, effectively running an extra mile and costing him the win. Some marathon runners who were unfortunate to have 90 min half splits also got messed around as it clashed with the 10k start. Overall it's a great idea to bring 3 races in one (not just in terms of maximizing profit!) as it does get a lot of people out and there was a great atmosphere during the race. However, I don't think they anticipated the logistical nightmare of having 3 different races going at the same time. Looking at the course for 2018, seems that they've taking it on board so I might just give them another chance this year with the 10k (focusing on shorter distances this year). Thanks CD- good points raised. I think a lot of these races lessons are learnt. I know Brighton which is voted 1 of the best have made several changes over the years. Although I’m disappointed at not getting a London place I’m happy to support a smaller marathon. CD -Totally agree with 90 min half splits - my first half of the marathon was around 1:35 and totally caught up with heards of 10k and half marthon runners, pretty much ruined my marathon time, but luckily was not running it for a PB. MRM2 - I found that running through little villages outside venice, florance, prague etc were really pleasent, but amsterdam was dull along a canal for 20 miles. Good point about the bad weather though at Bournmouth could make it unpleasent. FBT - I did Amsterdam last October and really enjoyed it. Apart from the first 2k where I had to weave through slower runners the rest of my run went pretty smoothly, but I think the mad start was enough to put me off from doing it again. Although this will be my first ever marathon...I did run in the first Southampton half marathon back in 1982.... and did the half a few times in the 80s and early 90s... I've still got my t-shirt for the 1991 half. In preparation for the marathon, today was the first time I've run 10 miles since the 90s..over twenty years ago... and it went well, slow but that doesn't bother me.. I'm just getting the miles in my legs at the moment. Well done DT. Build up slowly and you should be OK. Are you still using the treadmill? I'm not really following a plan, but have done quite a few marathons, and have a fair idea of what ought to be included. Always enjoy a long run whether or not I'm preparing for a marathon. So last week I chose a good day for a 17' run out to Sandbanks. Also went on the treadmill last week, and did a couple of km. and that was enough for me. Apparently some people do virtually all of their training on the treadmill. Amazing. Happy running. I use the treadmill for my 4 mile runs during the lunch break...if I need to do any more on that day... I will either run outside in the evening or on the treadmill in the evening... I just want to get the miles in my legs... As my running miles have got more each week.. 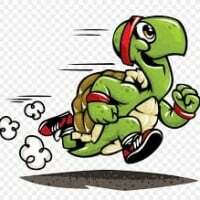 I now realise that I was running too fast... its difficult coming from running lots of 5k's and the occasional 10k to the marathon pace. The 10 miler today was outside and hilly.. I really prefer running outside... and my longer runs will be outside. I don't think I could run 10 miles on a treadmill in one go. Sandbanks and the coastline from Hengistbury Head ... what a lovely place to run....lucky you.. phew 17 miles well done, you've obviously put the miles in previously to get to that stage..... how is everyone else's training going?